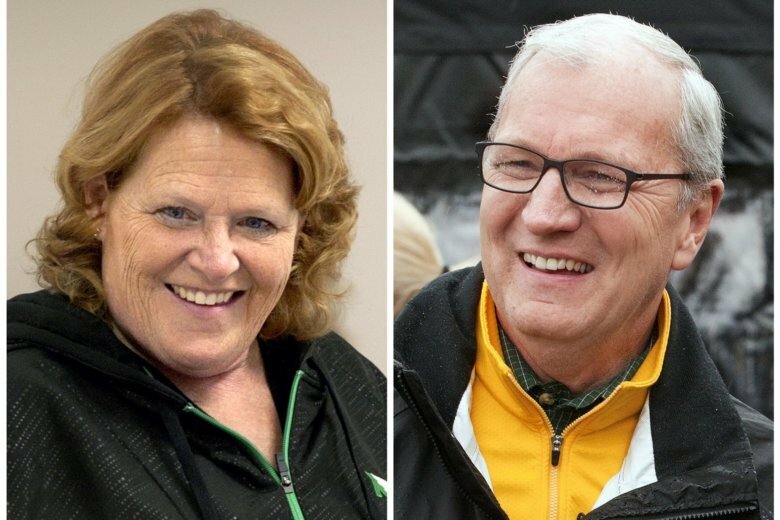 Heitkamp is facing Republican Rep. Kevin Cramer in a race seen as critical for control of the closely divided Senate. Veterans number about 50,000 in North Dakota, and the support of the key constituency may be pivotal on Election Day. Heitkamp won six years ago by fewer than 3,000 votes in the deeply conservative state. Cramer and Heitkamp have been campaigning for months on who is a better advocate for veterans. At the American Veterans club in Bismarck, Heitkamp held up one of Cramer’s campaign brochures that she said attacks her on veterans issues. Hagel told the crowd of about 100 veterans and others in Bismarck that Heitkamp will work “across the aisle” on their behalf in Washington. As a senator Hagel was an independent and sometimes broke ranks with his fellow Republicans on big issues such as the Iraq war and U.S. policy on Israel. He served as Pentagon chief in the Obama administration from 2013-2015. Hagel will make campaign stops with Heitkamp in North Dakota through Wednesday, concluding in the senator’s hometown of Mantador, where her father helped establish the town’s Veterans of Foreign Wars post. Hagel told reporters he also will campaign for Democratic Sen. Joe Donnelly of Indiana. For his part, Cramer on Tuesday announced the endorsement of Medal of Honor recipient and Minot, North Dakota resident Clinton Romesha. Former President Barack Obama presented him with the honor 2013 for bravery in defending an Army outpost in Afghanistan four years earlier. Romesha told the AP that he has attempted to avoid political campaigns but felt compelled to come out in support of Cramer, who had asked him to serve on an advisory board dealing with veterans issues.